We are delighted to introduce our readers to our client MSL Solicitors and share a little bit about their services. Based in central London, at 218 Strand, MSL Solicitors is uniquely positioned as the only law firm in the UK specialising in Family law and Australian Immigration law. Their Family law department advises on all areas of divorce, family law, civil partnership dissolution, the law relating to children, and the breakdown of relationships between unmarried couples. Their immigration department is the UK’s foremost specialist in Australian Immigration law, catering for all types of Australian Visa and Citizenship Applications. MSL Solicitors have a dynamic and sympathetic approach to dealing with their clients. Their highly experienced solicitors believe that clear communication and finding practical solutions to the issues in each case are essential to good practice. If you are looking to emigrate to Australia and need help with obtaining your Australian Visa, feel free to contact MSL Solicitors today at enquiries@mslsolicitors.com or on 020 7832 6400. 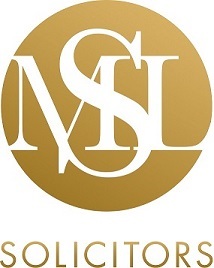 You can find more information online regarding MSL Solicitors’ services at http://www.mslsolicitors.com.